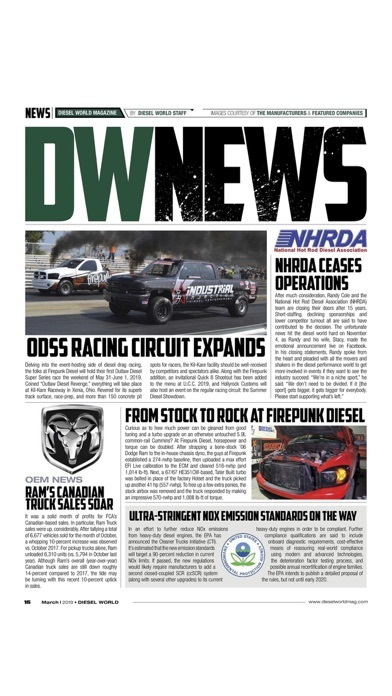 Diesel World Magazine is the only automotive publication on the market today that covers the complete diesel-powered market, from diesel engines and trucking news, right down to the latest diesel-powered cars. 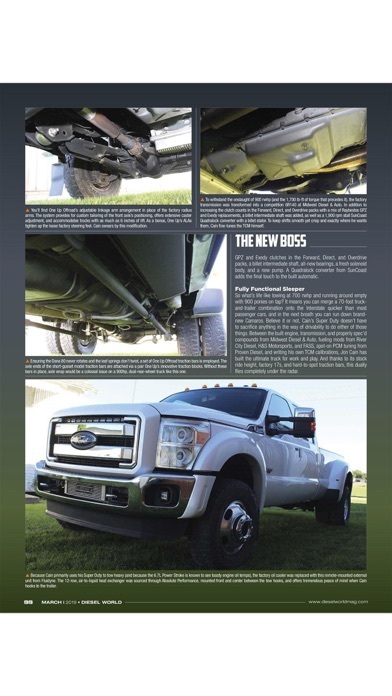 Enjoy the Diesel World app that delivers digital mag content in an exciting format. 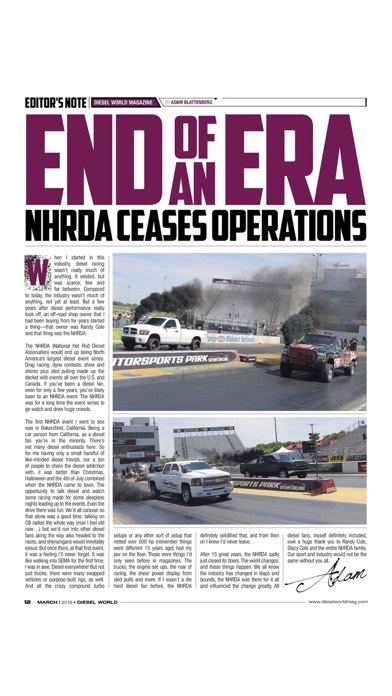 And as mobile magazines go, you can take your favorite turbo magazine with you on your chosen device with this app. Diesel World is a one-stop-shopping resource for discovering what’s new in the market place, learning about the hottest new parts and accessories, and seeing how these products can improve your diesel ownership experience by improving power, mileage and longevity. 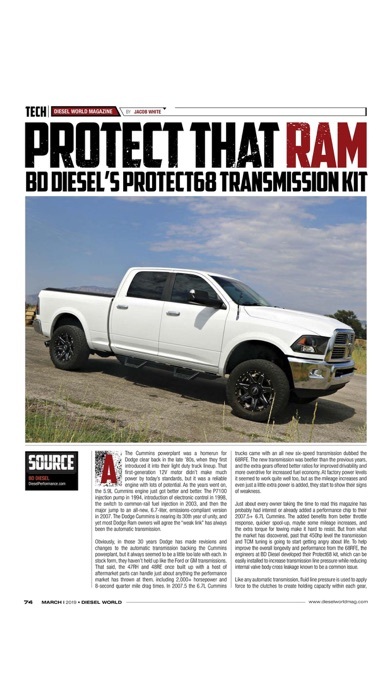 The magazine offers in-depth road tests and evaluations on diesel-powered autos—both cars and trucks, along with all of the latest news on which new diesel vehicles are coming to the U.S. market and what to expect in terms of fuel economy. 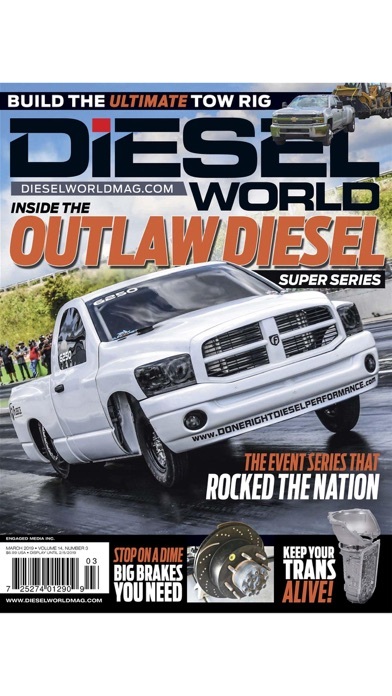 The editors of Diesel World are seasoned automotive journalists, who, each month, bring insightful tech articles, spectacular feature layouts and awesome event coverage of the world of diesel motorsports, which includes drag racing, sled pulling and dyno competitions. They are hands-on enthusiasts who can make even the most difficult technical subject into a story from which the average diesel owner can learn and benefit. Fuel your passion for all things diesel. With Diesel World. YUM Food & Fun for Kids- For families who love to cook!